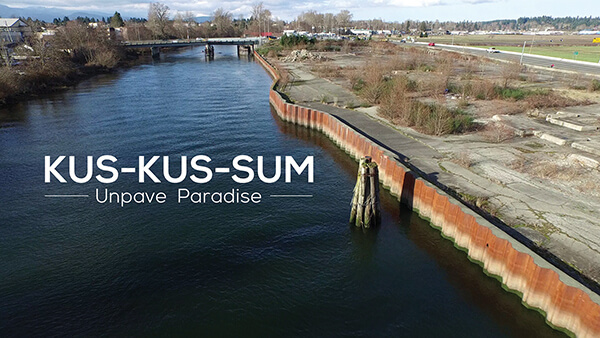 The community of the Comox Valley is banding together to tackle a large and ambitious restoration project - unpaving paradise at Kus-Kus-Sum. The project aims to purchase an abandoned sawmill site and restore it to natural habitat. Since 2006, the site has remained as 8.3 acres of vacant cement in the heart of the community and 440 meters of steel wall along a critical salmon migration route. The video showcases the history of the area, the many benefits of restoration and offers everyone a chance to be a part of this initiative.